+ What progress on the SDGs? "In 2018, 93% of countries reported that non-state actors, like civil society organisations and businesses, were engaged in their Voluntary National Review (VNR) of how the Sustainable Development Goals are being implemented. This is a 19% increase from 2017. However, over 30% of reporting countries provided no information at all on how non-state actors were included in governance mechanisms for SDG delivery," writes UK Bond this week. New Zealand will submit its report this year, along with 50 other countries. There has been progress in some other areas - 65% of reporting countries have incorporated the SDGs into their existing national development plans. For an update on the Voluntary National Review (VNR) go here. Devpolicy's latest blog by Terence Wood reports Australian aid NGOs’ revenue fell from 2015 to 2017, with most of this from a drop in donations. One explanation is the state of the economy, though that's not the end of the story. As revenue has fallen, Australian NGOs’ spending on humanitarian work globally has fallen with it. Globally, if spending patterns are anything to go by, the Australian NGO community sees about as much need for humanitarian work as ever. But, on the other hand, spending on humanitarian emergencies has fallen a lot in the Pacific as data the EM-DAT, the Emergency Events Database also show a fall in major natural disasters in the Pacific over the same period. "These facts suggest an additional explanation for the fall in donations to Australian NGOs in the last two years: fewer high-profile disasters close to home. If correct, this would be a happy explanation for the Pacific at least. But given ongoing global problems, the fall in donations is still far from good news. It would be better if quiet times in the Pacific meant more donations made to other countries in need, rather than fewer donations in total." Diplomats from both the UK and New Zealand will co-locate in High Commissions in Tonga and Vanuatu, and work more closely together across the Pacific region on development and strategic issues. The announcement was made on Prime Minister Jacinda Ardern's recent visit to the UK. These days most international NGOs have multiple partners, with each other, with businesses, government departments and local partners. Or even partnership with organisations that are themselves a group of different organisations. 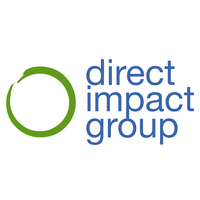 Navigating multi-sectoral partnerships can be particularly challenging, writes Darren Ward from Direct Impact Group in a recent blog. Talking of partnerships, don't miss out on the chance to work wtih Belinda Gorman, one of New Zealand's leading experts on how to make partnerships work. Members of the 'Breakfast Korero' group that meets in Wellington semi-regularly, has collected a bunch of links on navigating culture and development. Why hasn’t high inequality lead to protests in Thailand? How much of the answer is cultural? Also, the importance of using cultural practices when addressing the needs of Fijian women. And here, kastom and the importance of kinship and collective wellbeing in Fiji and Solomon Islands. With thanks to Romchalee Kanokngamwitroj from Save the Children. If you're facing a big birthday soon - cheer up - your best working years may still be ahead of you! There's no doubt that an ageing population will impact development work. "New measurements and concepts of population ageing have significant implications for measuring living conditions and living arrangements of older persons as well as their contributions to their societies." + Manus Island novel wins - Creativity 1. Detention 0. In a win for creativity versus the limitation of detention, Kurdish-Iranian journalist, Behrouz Boochani, has won the top prize at the Victorian Premier's Literary Awards. Boochani has been detained on Manus Island since 2013. His novel 'No Friend But The Mountains: Writing from Manus Prison' won the country's most valuable award, the $100,000 Victorian Prize for Literature, as well as $25,000 for 1st place in the category of non-fiction. Boochani described receiving the award from a country that has kept him locked up for the better part of six years as "a paradoxical feeling". Boochani wrote his entire book via mobile phone, sending it in portions via Whatsapp over years to translator Omid Tofighian. Speaking to Australian media Mr Tofighian said the book "conveys the systematic torture that's inflicted on refugees in the prisons". Boochani's aim for his literary work from the confines of Manus Island is to communicate to the world how detention "has tortured innocent people on Manus and Nauru in a systematic way for almost six years,"
Brendan Woodhouse, a British firefighter, spends his holidays rescuing refugees crossing the Mediterranean. He was part of the crew on Seawatch 3 that rescued 47 refugees and asylum seekers on January 19. Access to an Italian port was denied, and the boat and crew are now being held. The Italian government will take legal action against the Sea Watch crew for 'assisting illegal migration'. "You think that leaving all that you have known is easy? You think that crossing that sea is a choice? Then you don’t know how many are lost to this journey. You don’t know the pain that they take. And if you want to talk about choices, then you should acknowledge that it is only us who can choose! We have one life. Let’s not waste it on hate. Only love!" Too much of the UK's aid budget is being spent poorly by government departments on projects that fail the test of reducing poverty in the world’s poorest countries, a One Campaign report has stated. The One Campaign is a campaign and advocacy organisation set up by Bono. The UK is one of only a handful of countries to meet the UN target of spending 0.7% of national income on aid with around 70% of the £14bn a year budget is spent by the Department for International Development (DfID). One's ‘Real Aid Index’ reveals that some UK Departments (including cross-Whitehall funds) are spending aid on projects that don’t focus on reducing poverty, don’t always deliver value for money and are opaque in reporting what they spend their aid on. All aid should have poverty eradication and inclusive economic development as its primary purpose, tackle the issues that have the greatest impact for poor people, with at least 50% of the aid focused on LDCs and fragile states. All aid should be spent effectively as possible, remaining untied both in policy and practice, with contracts open to companies of all countries. Aid must support the priorities of local governments and citizens and should target the results that matter most to people in poverty. All aid should be open to the UK public, developing country governments and citizens. All the Departments should accelerate progress towards being ranked ‘very good’ or ‘good’ on the Aid Transparency Index. In celebration of International Women’s Day on 8 March, UN Women is celebrating its 2019 theme of “Think Equal, Build Smart, Innovate for Change”, along with hosting hundreds of festivities around the world through the organisation’s global network. Innovative thinking about how service impact on women influence everything from urban planning designs for commuter safety, and rural childcare centres, to the use of biometrics as ID to replace formal registration documents that many women may not have or control, said UN Under-Secretary-General and UN Women Executive Director Phumzile Mlambo-Ngcuka. We are not on track to achieve the SDGs, she says. What is required from us for "transformative shifts, integrated approaches and new solutions? This is particularly true when it comes to SDG 5: Achieve gender equality and empower all women and girls." For more information on International Women’s Day 2019. The community meetings are an important part of a wider engagement strategy. A discussion document will be released in late February 2019, to encourage public submissions by late April 2019. DIA has worked with key stakeholders to develop an engagement strategy which can be found below. Bird poaching – for meat or for the pet trade – has become a silent epidemic across China, resulting in the deaths of tens of thousands of migratory birds each year. Gu Xuan, a young conservationist, is determined to break this cycle of death and destruction, and set the birds free, reports the UK Guardian. Due to the time of this webinar, CID has requested a recording and report of this event, which we will share with you all.